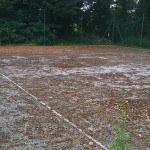 If your tennis court gets contaminated from moss and algae it can become slippery and unsafe as well as making the whole facility look unattractive. Having a Moss Court Pro treatment applied to your hard court sports surface can prevent the growth of moss and algae and extend the life expectancy of the whole surface. 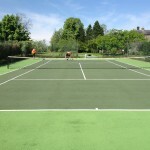 It’s important to take a proactive approach to maintaining your macadam or polymeric rubber tennis court so that it performs to its full potential and remains safe for those who use it. Just get in touch with our team if you’d like to discuss these services in more detail, and to enquire about the costs. One of our experts would be happy to give you more information and answer any questions you have. 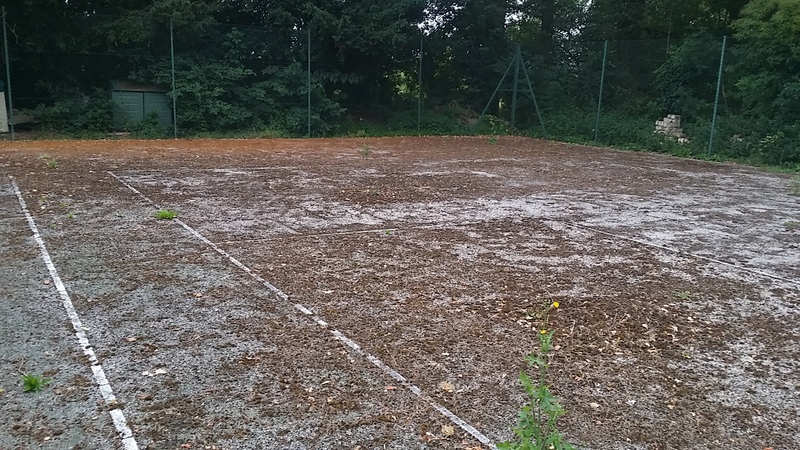 Before we apply a Moss Court Pro treatment to an outdoor sports surface, it’s important to carry out a thorough tennis court cleaning procedure to remove existing dirt and debris. 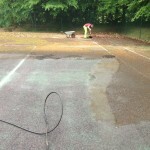 This process involves jet washing and brushing the surface using a specialist tennis court cleaning solution which bonds with dirt and lifts it away from the court. 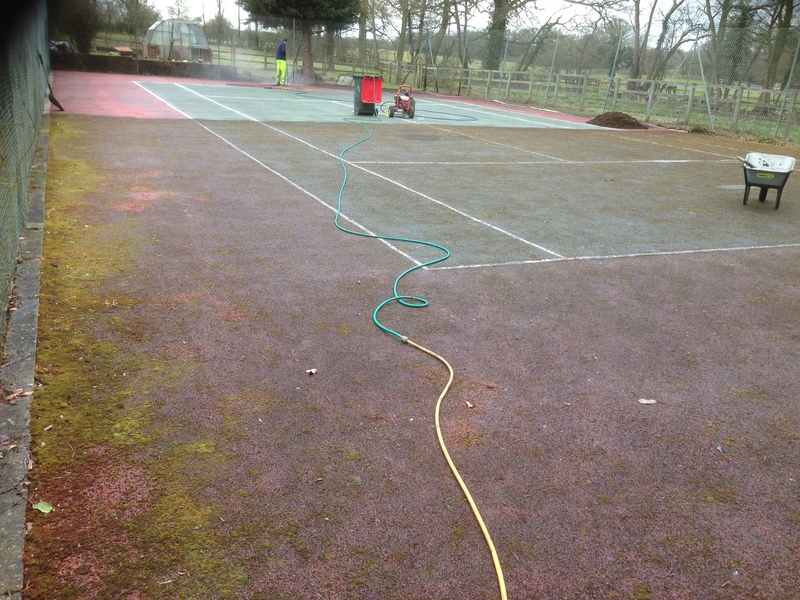 Having this type of maintenance done on a regular basis will help prevent natural matter life leaves and mud from getting stuck within the pores of the court surface. 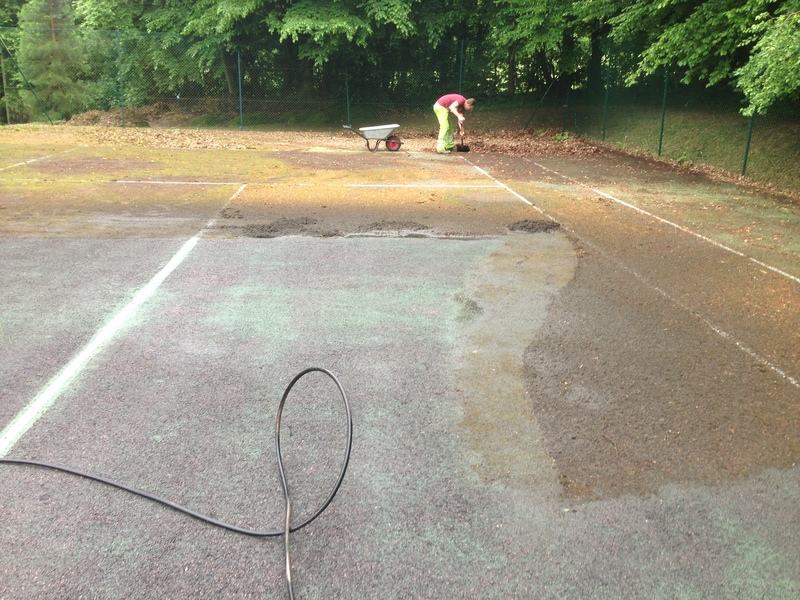 If the pores do get blocked up with decaying dirt, this prevents water from draining through and therefore the tennis court can become flooded and unusable in wet weather. It’s important to make sure an experienced contractor carries out the cleaning using the correct chemicals to make sure that a thorough clean is done and there is no debris left on the surface. 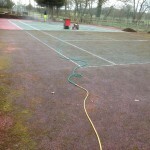 When the tennis court surface has been properly cleaned with the specialist solution, the moss treatment can take place. This professional moss and algae treatment chemical contains active ingredients such as quaternary ammonium chloride and makes up a concentrated biocide. This enables the Moss Court Pro solution to control the growth of moss, algae, bacteria and lichens on the hard court sports surfacing. By having this you reduce the chance of the surfacing becoming blocked up and losing its porosity. This means it will be able to keep draining water and it won’t become flooded in wet weather. The chemical moss treatment is mixed with water and can be applied as a spray or using a brush to blast or scrub away bacteria from the court and prevent it from developing into other contaminations like moss and algae. When using the Moss Court Pro chemical solution it’s important to avoid excess spray or runoff onto lawns or areas of grass and plants as it can cause some damage to these natural surfaces. 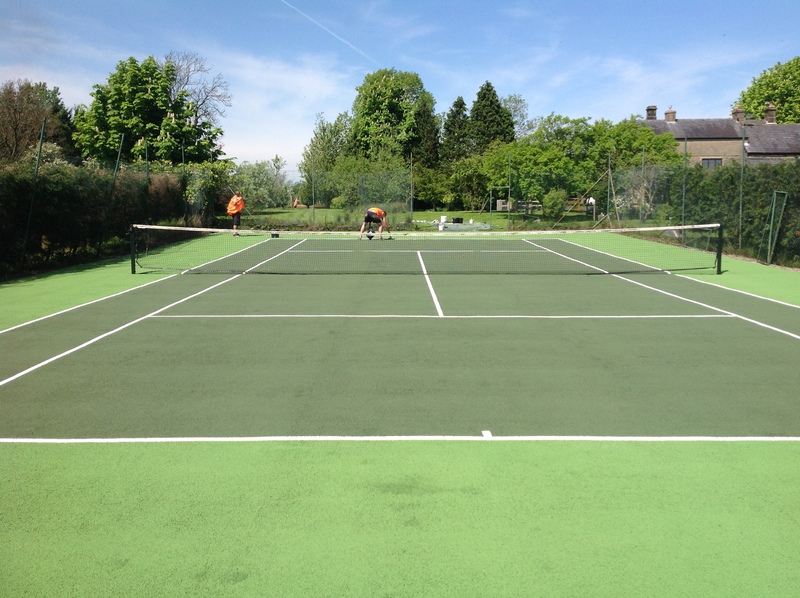 We are specialists in the installation and maintenance of hard court tennis surfaces in the UK and have carried out a variety of projects for schools, sports clubs and residential tennis facilities. If your outdoor macadam or polymeric court is in need of a thorough clean and Moss Court Pro application, please make sure you get in touch with us through our enquiry form. One of our experts will get back to you and give you some more details on what we offer. We can also apply fresh coatings of coloured anti slip sports paint to enhance the performance and skid resistance on tennis courts and MUGA surfaces. Send us over your contact details as well as an area size of the court and a brief description of the work that you want us to carry out and we’ll get back to you with an estimate of costs for your project.